Since I have been wearing a little too much black and white for the past couple days, I decided to brighten things up a little. 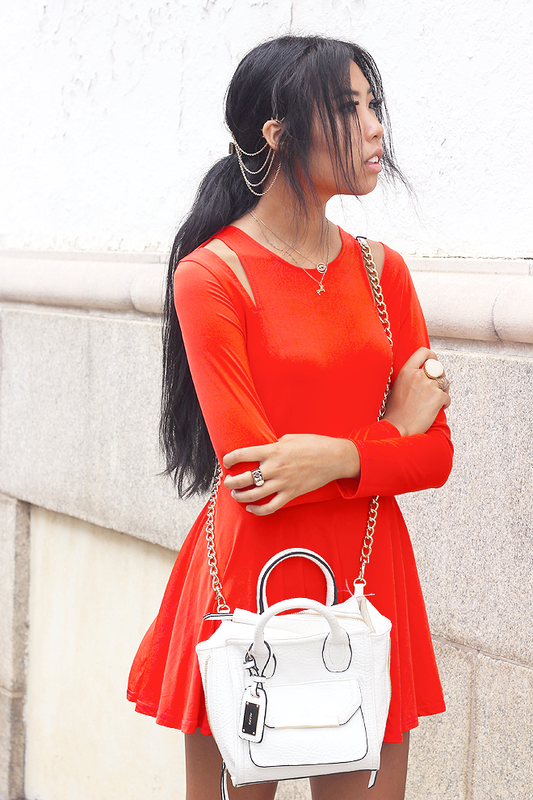 I went with a bright red dress! Although it rained and resulted in hot, humid air, it felt nice to wear long sleeves, with, of course, the cut out shoulders! 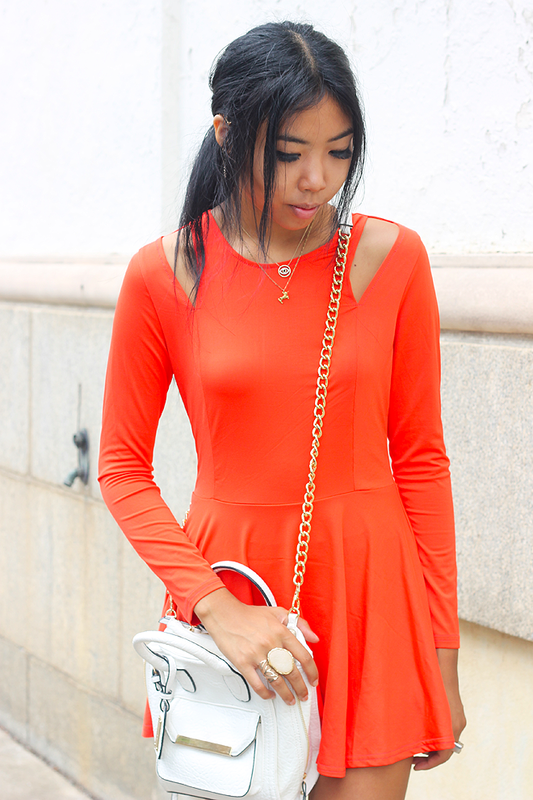 pretty dress..i love orange.. by the way, followed you in Instagram and Fanned you in Lookbook. Hope you reciprocate..